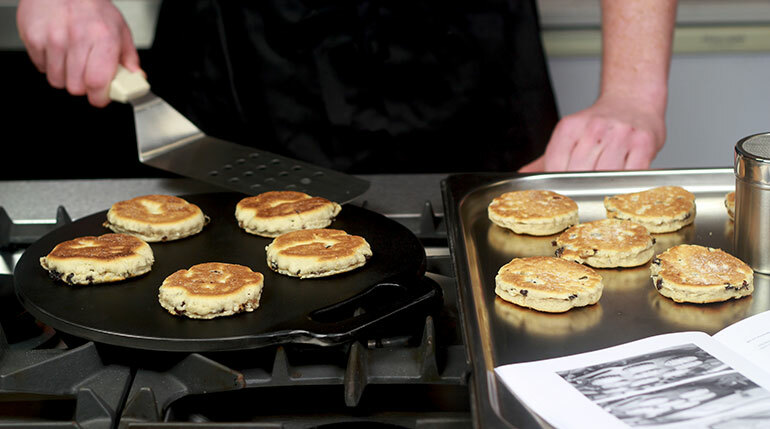 A traditional Welsh Bakestone (also called a Planc) from an original 175 year old design, used to bake authentic regional Welsh recipes on. 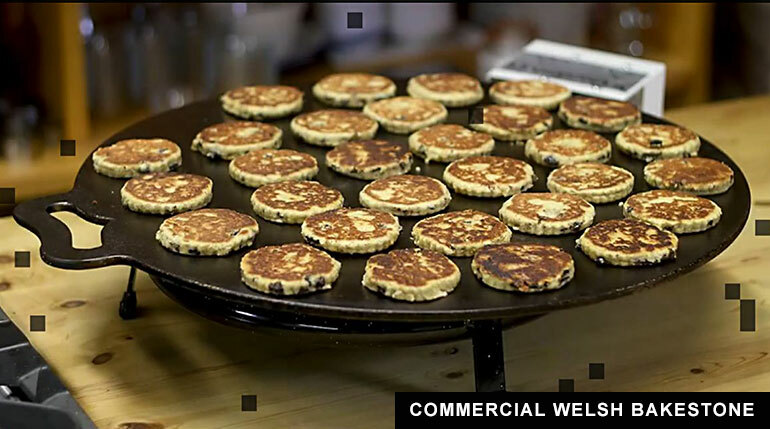 A traditional Welsh Bakestone, also known as a Planc, (12 inch / 30 cm diameter) is used to bake authentic regional recipes on such as welsh cakes, teisen lap, bara brith, crempog, breads, scones, cakes, pies, pancakes, tarts and biscuits etc. 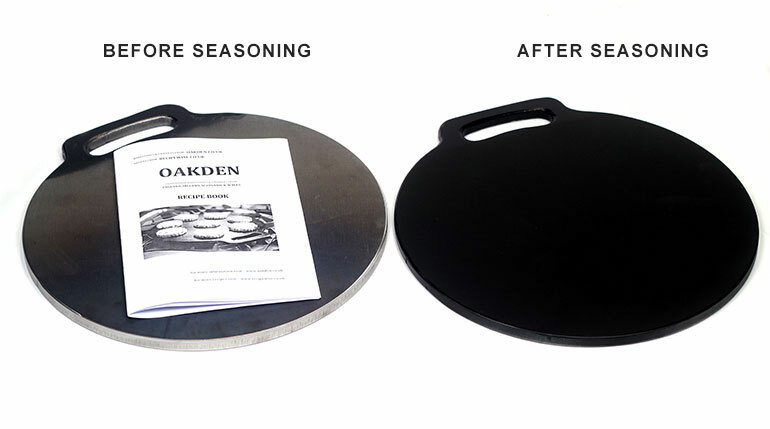 Please see ‘How To Season Your Bakestone‘ for information on caring for this item. 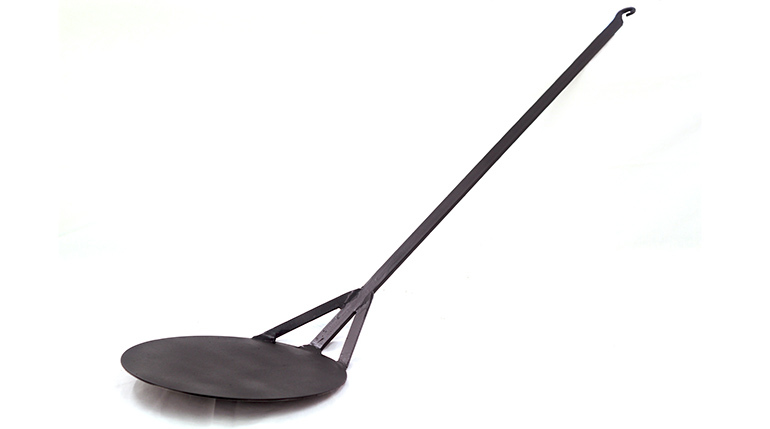 This is a hand-made reproduction, made from an original design dating back over 175 years, and because it is made of a thick steel plate (which is basically like cast iron, without the brittleness) it is able to be used on a wide range of modern convection / induction / radiation cookers and fires. It can be used over an open fire, using a fire dog to sit on, a modern gas stove, an electric stove and even on an induction hob or ceramic convection cooker. Note this is a heavy item – 12lbs / 5.5Kg.